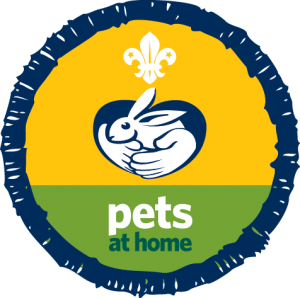 Animals for Scouting groups and Girlguiding groups. Animal Club visits – a great way to get young people involved in animal care and welfare. With an educational twist scouting groups will learn a lot from while earning their activity/interest badges. Our DBS checked rangers deliver the sessions. The sessions are fun and informative. The session delivered in a way that cubs, beavers, rainbows, guides and brownies get a lot of information a short space of time. 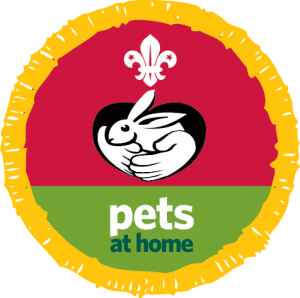 Animals for Scouting and Girlguiding workshops help children to work towards, or gain badges. There are plenty of opportunities to learn about endangered animals, animal habitats. Children and the leaders also get useful tips and information about having pets and caring for them. The session will help to learn and understand what you need to do and be aware of when deciding to own a pet. We help to ‘learn how to care for an animal. Find out what the animal needs. Learn about its food, habitat, space, exercise and sleeping area’. We will assist the brownies so that they can ‘show how much you know about pets and other animals’. Our presenters who deliver animals for scouting sessions have DBS certificates. Animal Club fully insured and licensed, which gives peace of mind when booking a visit. You can also be confident in our professionalism and knowledge. If required, can provide you with a risk assessment. The group volunteer leaders do not need to waste any of their pressures time on paperwork. For further information, please get in touch via email: enquiries@animal-club.co.uk or phone 0114 329 08 51. You can also just simply fill in our enquiry form and we will get in touch. With studies showing the health benefits that animal interactions have on people specifically the young, old and vulnerable. 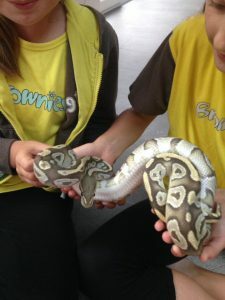 Animals for Scouting and Girlguiding sessions offer interaction in a unique way. Such way helps to improve mental health, communication skills and confidence levels. In 2006 Maller, Townsend, Pryor, Brown and Ledger investigated the mental health benefits of interactions with different species. Their studies showed that interaction with animals has a lot of value for people living in cities and away from expanses of countryside. Time spent with animals can help to improve concentration levels and help young people to learn new skills and improve focus. All these skills work in conjunction with scouting groups and their goals, making these encounter days fun, exciting and beneficial. Animals for Scouting and Girlguiding visits offer an interactive way to learn for all scouting members. From tarantulas and snakes to vinegaroons, rabbits, stick insects and chinchillas there’s something for everyone. It does not matter about past experience, confidence or knowledge. We can support a whole day or special event dedicated to individuals to help them build confidence, gain knowledge and experience, and to ensure that all members have a great time. These events can be constructed to fit any time constraints. 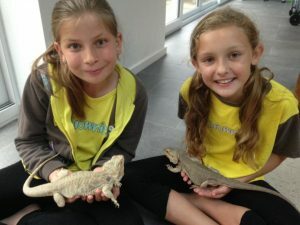 Animals for Scouting and Girlguiding workshops will suit as an activity for a single scouting group as well as for larger scouting events. Mixed age groups can join within one session if scouting groups are combined for longer session times. 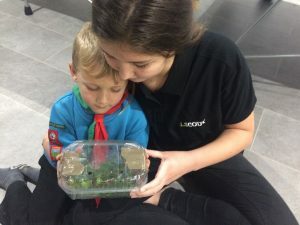 Animals for Scouting and Girlguiding sessions also offer a superb opportunity to handle animals, which you may not usually come into contact with. Fears have been faced and conquered in group sessions where support provided by our experience ranger and the rest of the group. Doing something you never thought you would be able to do really builds confidence. These skills will without a doubt come useful in other aspects of scouting life or life in general.